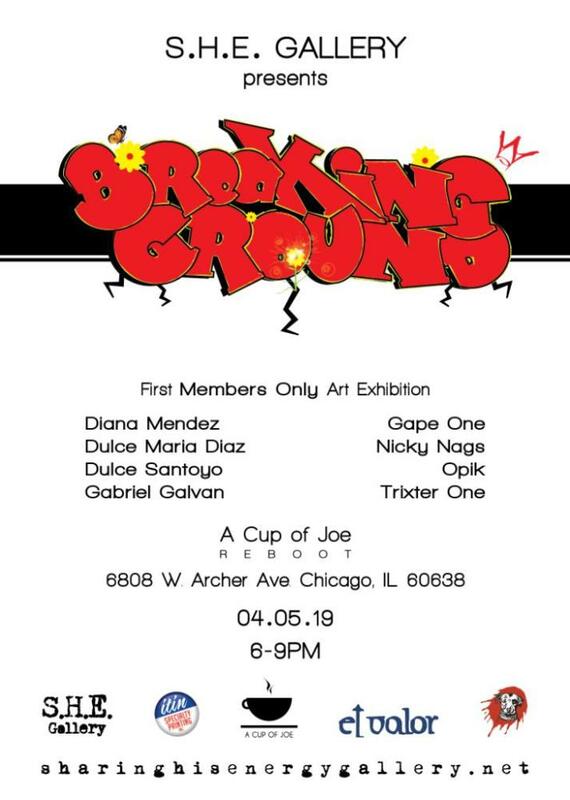 First Members Only Art Exhibition - Introduction to our Artists and ongoing partnership with our Garfield Ridge, Chicago Community Neighbors, A Cup of Joe. "...​​S.H.E. Gallery is taking active strides to push objectives like equality and opportunity to the forefront of their mission. Director Dulce Maria Diaz is using her platform to focus attention on the content of work and ensuring that the voice of the artist is not lost in the ever-spining carousel that is the comtemporary art world. Art can speak to everything throughout all cultures and Diaz is making sure that everyone who has something to say gets heard. She has taken on the task to operate as the voice and legs for artists who might not otherwise find opportunities to exhibit their work, and therein lays the importance of what she is doing..."